Internet is full of boring popups. So, its a time to break this trend. Thats why we created Layered Popups (WordPress popups plugin). 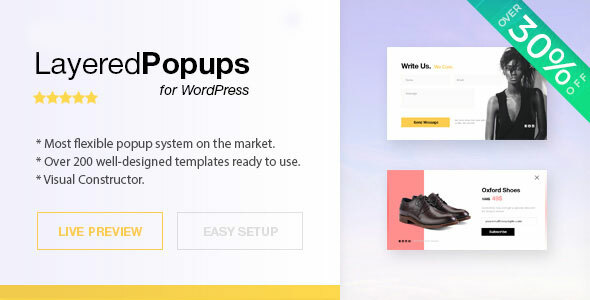 With this plugin you can realize your imagination and make unique multi-layers WordPress popup windows. You can create multiple layers with whatever-you-want content and add custom transitions/animations for each layer.